Here are two digital projects for Rimmel London - both of them showcase unique product properties. The first is a 20 second ad which featured on the Rimmel London website and perfectly demonstrated the new Precision Maxi Brush which was the perfect tool to create the Union Jack, an icon at the heart of the brand. 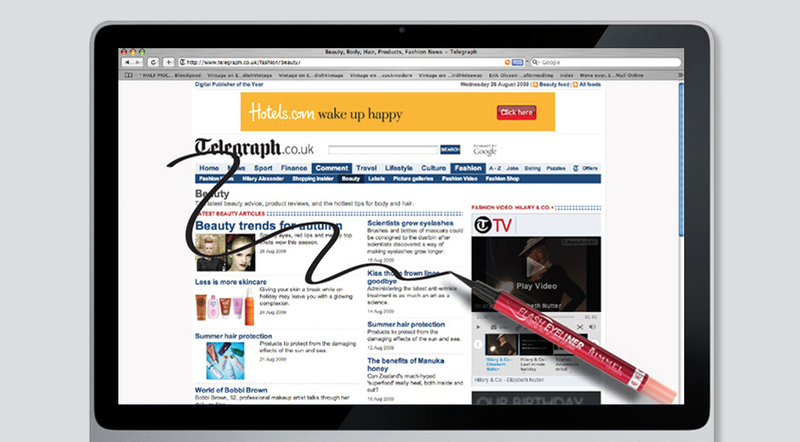 The second was a pop-up ad that allowed customers to draw rebellious lines over website pages and was a successful solution to advertise Rimmel London's new Flash Eyeliner.